We have the lowering kits and lift kits you need to modify your vehicle to the height you want. With a lowered suspension, you�ll be able to take corners faster, reduce body roll, and lower your vehicle. Lifting your vehicle allows you to accommodate larger wheel/tire packages, off road, and more. Here at New Level Motorsports, we have the suspension upgrades you want�from strut tower bars, lift kits, lowering springs, and more. Don�t settle for anything less than the best. Give your vehicle a lift with a modified suspensions system. Whether you're looking for AirLift, B&G, CST Suspension, DC Sports, Ready Lift, or Truxx, we've got what you are looking for. 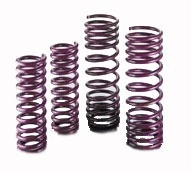 No matter your reason for modifying your suspension, you�ll be able to find the lowering springs, lift kits, strut tower bars, and more to get the job done right. Look to New Level Motorsports for your suspension modification needs!